Browse: Home / What You Can Learn from Margo Hayes’ Send of Biography (5.15a)! 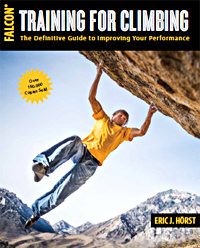 While I frequently warn enthusiastic climbers of the downsides (and injury risk) of copying the extreme training practices of elite climbers, I’m always quick to add on that you can often learn—and improve—a lot by modeling the climbing tactics of advanced/elite climbers! In this article, I breakdown Joe Hedge’s video of Margo Hayes’ incredible ascent of Biographie (aka Realization) in search of some of the subtle technical and tactical keys to her success. You might be thinking, “what could I possibly learn from watching someone climb a 5.15a?” My answer is: a lot! One of the beauties of climbing is its scalability. You climbing at your limit demands a similar effort and technical perfection as a pro climber needs to send at their limit (the strength & power requirements are vastly different, of course!). Rock climbing is a vertical dance with many mental, technical, physical, and tactical elements that dovetail into (what I believe is) the ultimate performance puzzle in all of sports. Your long-term quest to improve as a climber, then, demands that you must work on all of these areas. So in analyzing this video of Margo, you can glean some powerful clues for technical and tactical improvement. 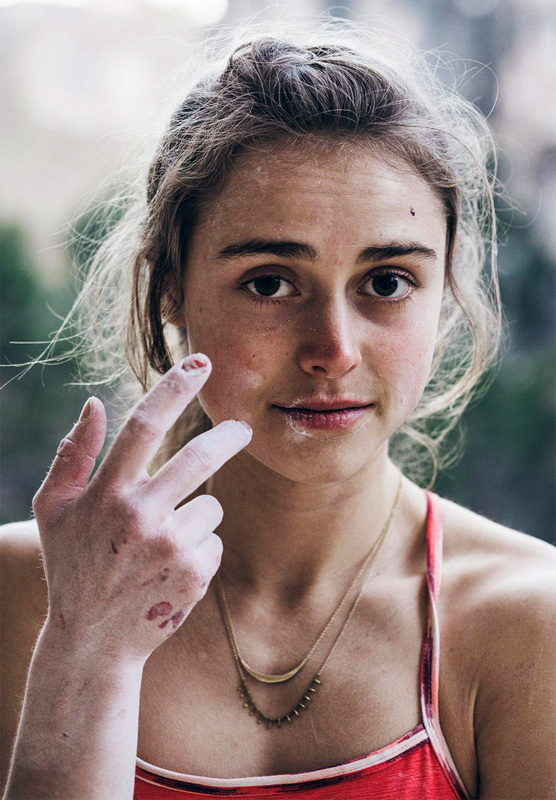 What you can’t observe here is her mental mastery and years invested into training in the gym—two areas which contribute massively to Margo’s success at climbing. But we’ll take what we can get, right? Pace of climbing between rest positions. Use of momentum and deadpoint movements. Use of moving “micro rests”. Below the video you’ll find my analysis of these four areas along with specific times to pause the video for further analysis. Keep in mind that some of the things we’ll analyze (and learn from) are rather obvious (like Margo’s very fast climbing between rests) while others are quite subtle and might require watching a few times. 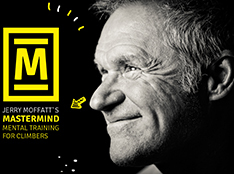 But keep in mind that a discerning mind is a mind with potential to learn and improve. I use the word “nuance” a lot in my coaching, because taking your climbing—and training—to the next level demands a smarter, more discerning approach to things. So with this mind, click the “play” button and begin your journey towards sending your personal “Biographie”, whatever it may be! Climbing fast, without a drop-off in technical precision, is one of the hallmarks of elite climbers—understanding why requires a bit of exercise physiology. Performing moves on small holds up steep walls demands high power output that’s primarily fueled by the anaerobic production of ATP (the fuel for muscle contraction at the cellular level). The anaerobic lactic energy system can support a high ATP flux in the working muscles for approximately 60 seconds of sustained, high-power pulling and crimping, however there is a rapid decline in anaerobic ATP production between about 30 and 90 seconds, resulting in a hyperbolic decrease in power output as ATP production increasingly relies on the slower aerobic energy system (via oxidative phosphorylation). During periods of sustained near-maximal climbing, then, it’s essential to climb from a rest position through a near-limit crux in less than about 60 seconds, as sustained climbing much longer is possible only at a lower power output level (easier moves on larger holds). Of course, energy systems development (the relative contribution of each to total power) varies from climber to climber based on their training, genetics, and diet, but on average hard, sustained climbing (no stop rests) is limited to around 60 seconds. Margo climbed Biographie in seven parts or “chunks” defined by rest positions with hand holds of sufficient size to allow for some degree of recovery. Let’s take a look at each. Chunk #1: The video begins near the end of the first chunk of climbing with Margo arriving at the first rest at 0:16. I estimate her sustained climbing time, from the ground through about 16 hand moves, was around 70 seconds for this chunk. She then rests for just over 2 minutes, during which she clips up into the next bolt. Chunk #2: Margo begins climbing at the 2:33 mark of the video and arrives at the next (marginal) rest at 3:18. She climbed this difficult sequence making 11 hand moves and 18 foot moves in 45 seconds, so on average she acquired a new hand hold every 4 seconds…dwelling on each hand hold for between 3 and 6 seconds. At this recovery spot she shakes out for exactly 1 minute and 6 seconds. Chunk #5: At 6:58 Margo launches into the redpoint crux (actually the first two moves of this sequence are missing from the video, so we miss about 6 seconds of climbing), a 12-move sequence with several big moves on small, slopey holds that she climbs in just 42 seconds. Once again, Margo is moving at “warp speed” with an average hold acquisition rate of just 3.5 seconds (same as the previous chunk)—essential for getting the most out of her anaerobic power reserve. Margo can now enjoy the route’s best rest, which she stayed at for an estimated 3 minutes (another video edit). Chunk #6: After a good rest (and a few calming words from her belayer, Alex Megos), Margo climbed confidently through a few big moves to achieve a stance on less overhanging terrain. These 15 hand moves and 1 bolt clip took 55 seconds (8:45 – 9:40), or about 3.5 second per hand movement. Margo took a final 30-second rest (9:40 – 10:10) before commencing with the final chunk of the route. Chunk #7: Margo glided through this final section in 60 seconds, then clipped the chains of her second 5.15a/9a+ route! Booyah!! Final tally & conclusions: By my estimates and calculations Margo climbed Biographie in 16 minutes and 40 seconds. Remarkably, she did all the actual climbing (100+ feet) in just 5 minutes and 38 seconds—making each hand movement in an average of 4 seconds (approximately 88 hand moves total)—and she spent 10 minutes and 41 seconds resting. Ironically, then, in climbing Biographie Margo spent nearly twice as much time resting as she did climbing! Climbing this fast on steep, near-limit routes is a necessity, not a luxury (watch Adam Ondra…on just about every route!). Reflecting back on my earlier teachings on energy systems, the high-power output of the anaerobic lactic energy system wanes quickly between 30 and 60 seconds of sustained climbing (see graph). Therefore, successfully climbing through Biographie’s long, vicious cruxes demands doing them in under 60 seconds and, ideally, in less than 45 seconds. With this in mind, note my calculations that Margo climbed chunks #2, #3, #4, and (redpoint) crux #5, in times of 45 seconds, 38 seconds, 28 seconds, and 42 seconds, respectively! It’s probably fair to conclude that she wouldn’t have been able to climb the route if any of these four chunks took her more than 60 seconds to climb—the power output would drop too low (to do the moves) and the increased metabolic fatigue of the additional time under tension (finger flexor muscles) might have made the poor rests (after chunk #2 &#3) unmanageable. Okay, I’ll keep this short and sweet. Margo’s footwork and hip movement gets a “perfect 10”. Limestone is slippery rock (and often polished), yet Margo quickly finds and uses every foot hold without pause or adjustment. It’s as if she had glue on her shoes! Furthermore, her hip movement and “body english” (hard to observe, but massively important) is magical, in that it allows her to successfully pull on sloping holds and navigate V-hard boulder moves with minimal energy expenditure. She employs a variety of flag moves (3:00, 4:56, 7:29, 7:37, 7:42 to list a few) and a couple of heel hooks (2:41 and 7:47) to optimize the position of her center of gravity, reduce weight carried by the finger flexors, and lower core muscle energy expenditure (flagging improves stability, thus avoiding the core strain of trying to maintain a less-stable posture). As a rule, Margo’s hips (and center of gravity) are placed as close to the rock as comfortably possible that, along with thoracic extension (shoulders back, chest out position), provides optimal foot weighting, finger force vector into the rock, and strong, fully functioning scapula and shoulder position. In climbing this route, Margo is a deadpoint machine! Although I haven’t counted them all, I’d be that Margo does some degree of deadpoint on nearly 20% of her hand moves, including three consecutive moves (7:05-7:20) at the redpoint crux. The “deadpoint” technique involves a sagging down and/or out of the torso and a bounce back up and/or inward to create a de-weighting of the supporting hand (so it can maintain grip on a limit hold while the other hand lets go) and establish momentum into the reach for the next hand hold. Deadpointing is an highly effective, energy-conserving move that may enable you to climb on holds so small that you can’t maintain a single-hand grip long enough to do a static hand move from. In climbing Biographie, Margo does deadpoint moves ranging from small hand “bumps” with just slight hip sag (see 4:50) to powerful leg-driven deadpoints such as at 3:10 and 7:12 (the crux). Finger flexor muscle contractions of greater than 50% of maximum force completely occlude forearm blood flow, thus limiting the aerobic contribution to ATP production and resulting in decreasing intracellular pH (acidosis) that interferes with glycolytic flux and muscle contractions. When climbing fast through hard, sustained sequences, the one second or so of relaxation between hand grips is too brief to allow for significant blood flow and re-oxygenation of the finger flexor muscles. 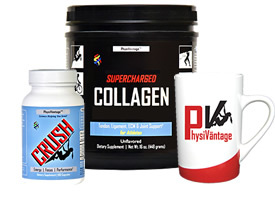 The practice of mid-sequence “micro resting” is an effective workaround that provides a brief “sip” of fresh blood and a few second burst of oxidative phosphorylation (aerobic ATP production) to prevent cramping and allow for another near-maximal grip or two. 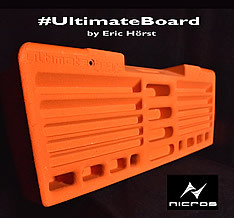 Biographie’s tiny holds provide limited opportunity for these micro rests, however—an effective micro rest requires a sub-maximal hold on which to hang single-handed while briefly shaking or flexing your free hand. The goal is just a few seconds of mid-move blood flow, usually captured during the process of setting hip position or beginning the next hand move, as demonstrated by Margo at 4:34 and 6:15. Micro rests aren’t long enough for any significant recovery (they are not “stop rests” with chalking), but they do help to combat cramping and recouping just enough ATP to hang on for another hard move or two—a real difference-maker when climbing at your limit. All the techniques and tactics employed by Margo in sending Biographie can be similarly utilized by you to send your project! Make climbing faster a must for you this season—this change alone could easily increase your climbing by one grade. Maintain a never-ending focus on improving your footwork and center-of-gravity positioning, and regularly practice using deadpoint moves and micro rests to more efficiently navigate through difficult sequences. Channel your inner Margo, and you’ll discover a new level of climbing performance and joy! P.S. 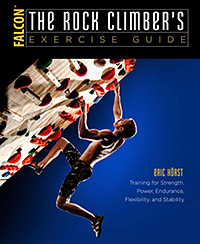 You can learn more about energy systems training for climbers, deadpoint moves, and a myriad other performance tips in the 3rd edition of Training for Climbing. NOTE: Kudos and a big “thank you” to Joe Hedge for filming this historic ascent. It’s rare to see raw send footage such as this…which provides a transparent “as if you were there” perspective. Nice!